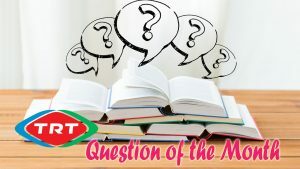 Urdu service of the Voice of Turkey (TRT) announced their Question of the Month TRT August 2018. Republic of Turkey officially switched to a presidential system. August quiz focusing a major event happened with this change.